It was the sentence that once read, takes your breath away, so you read it twice, because it can't be true. It can't. But it is. Amy Alison Dombroski was killed in a bike accident today in Belgium. I remember her smile, her friendly ways, and her amazing capabilities. Rest in peace Amy. Twenty-six years old, Amy was an American cyclocross racer for team Telenet-Fidea. Born in Jericho, Vermont, she split her time in recent years between Boulder, Colorado and Belgium. VeloNews reported Dombroski killed in training crash which occurred as Amy was motor-pacing behind a scooter in Belgium and collided with a truck Thursday afternoon. The scooter driver was uninjured. VeloNews reported the accident was in Sint-Katelijne-Waver, which is outside of Mechelen, north of Brussels. Reports from Belgium report the accident was along the Werchtersesteenweg (N21) between Betekom and Werchter, southeast of Sint-Katelijne-Waver. Amy had just returned from the United States to Belgium on September 30th. 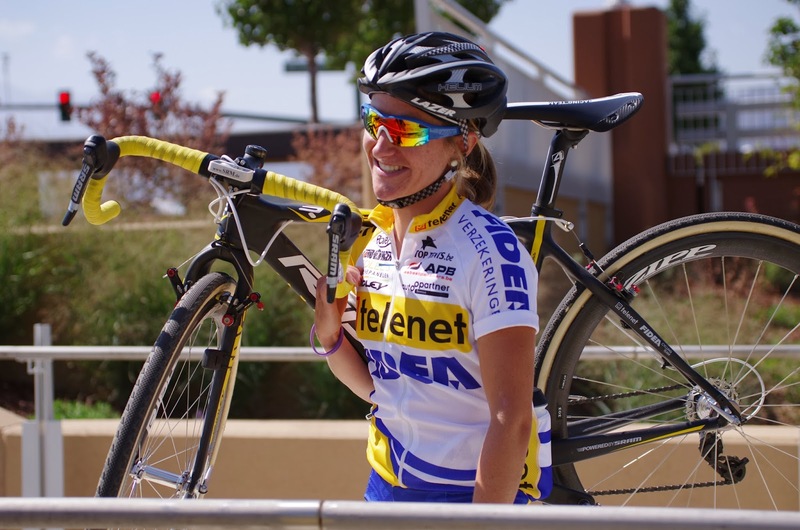 Please read: Crossland: The gaping hole left by Amy Dombroski, By Dan Seaton of VeloNews, and also Remembering the Life and Career of Amy Dombroski, By Molly at Cyclocross Magazine. Or the (translated) solemn announcement on her team website. It is almost unimaginable to think of her bright smile, youth, and promise taken so prematurely. And of the unbearable grief her family and fiance must be feeling. Life is short and too often fragile.